After a break, where some redesign of the focus and content of the magazine has been undertaken, the latest issue of Rainbow, the magazine for JMA collectors is now available. This issue contains a number of interesting articles including a spotlight on Syria and some craft and cooking activities. A challenge to all of us is found on page 10 where the collectors are asked to “Pray – Act – Change the World!” a relevant challenge whatever our age. There are also some excellent postcards on “Our Calling” on the back cover which could be very helpful as a focus in our daily prayer times. There are spare copies in the Foyer and I would encourage you to read it. 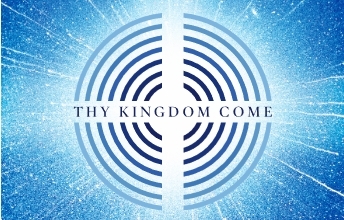 An electronic version of the magazine can be downloaded from the Methodist Church Website here. Please, if you do not already, consider giving regularly to one of our collectors to give them encouragement in this missional work. 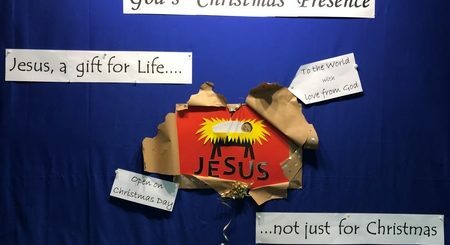 Junior Mission for All (JMA) is a fun way of encouraging children and young people to engage with God’s mission in Britain and throughout the world. 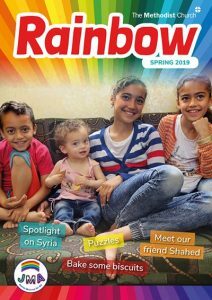 The Rainbow magazine brings news and stories from Partner Churches around the world, plus games and activities. Members are also asked to pray for the people they read or hear about and to serve by collecting and raising money from friends at church and elsewhere. 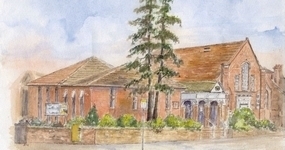 For further information on JMA and to be connected with a collector please speak to Ruth.